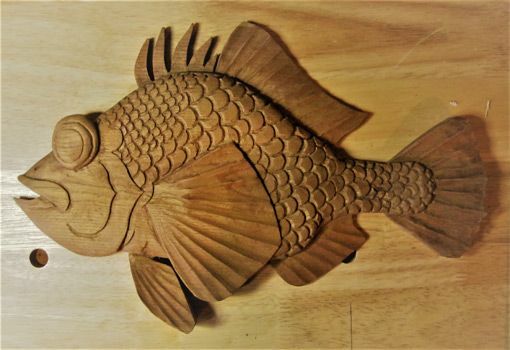 African Mahogany "Google Fish" (original design was a clip art icon) wall sculpture-- Created by R. Stephan Toman: Master Woodsculptor (SONRISE WOODCARVING STUDIO) Dimensions: 15" x 9 ½" – Signed and Dated by Artist- This is a one of a kind piece. It is immediately available. I can create similar sculptures by special order upon request.